British-born but New Zealand-raised, Lieutenant-General Sir Bernard Freyberg was a charismatic and popular military leader, who later served as governor-general. Freyberg was awarded numerous honours, including the Victoria Cross, during the First World War. Having retired from the British Army because of a heart problem in 1937, Freyberg offered his services to the New Zealand government when the Second World War began. 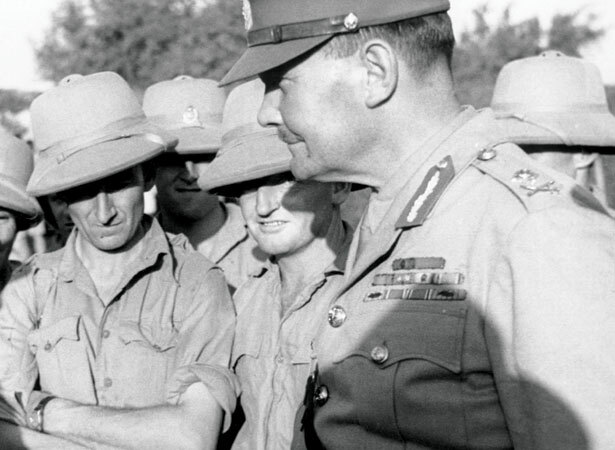 Appointed to command the 2nd New Zealand Expeditionary Force (2NZEF), he led its fighting arm, the 2nd New Zealand Division, through campaigns in Greece and Crete, North Africa and Italy. While criticised for his role in the fall of Crete in May 1941, and the destruction of the Benedictine Monastery above Cassino in 1944, Freyberg was admired at home and abroad, revered by his men for his concern for their welfare and readiness to be at the forefront of any enemy action. Following the war, Freyberg was invited to be New Zealand’s governor-general. A popular choice for the post, he was the first person with a New Zealand upbringing to hold the position. We have 15 biographies, 23 articles, related to Freyberg given command of 2NZEF.